Send me cute photos of toys for art challange! Hey I hope this is ok to post here. 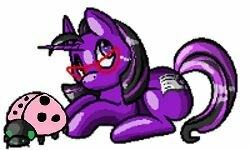 I want to create a challenge for myself as an artist anyone interested post pics of small sections of your pony toy collection doing something interesting (1 to 5 ponies) preferabley the baby ponies. If I see one that interests me I'm gonna draw the ponies in my own style doing what they are there. (If you can tell me their names it'd help me get a better idea of mane style let's face it the toys don't have the mane variety the ponies do in the show) g1 and 2 preferred but go ahead and mix the generations. Hey I hope this is ok to post here. I want to create a challenge for myself as an artist anyone interested post pics of small sections of your collection doing something interesting (1 to 5 ponies) preferabley the baby ponies. If I see one that interests me I'm gonna draw the ponies in my own style doing what they are there. (If you can tell me their names it'd help me get a better idea of mane style let's face it the toys don't have the mane variety the ponies do in the show) g1 and 2 preferred but go ahead and mix the generations. Other artists feel free to do this too, no there is no time limit as to when I will draw it I'm a busy person and have a commision to finish first but I really want to try this.